Color Available: Gold, Red, Blue, Grey, etc. Staff lockers manufacutred by us are tough and are lasting for years. Standard varients like 6, 8, 12, 15, 18, 24 compartments as well as made to order as per need . Manufacturers of all kind of school LOCKERS for students or staff lockers. 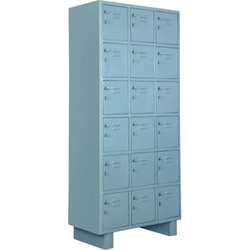 Product Description:We are offering our customer a wide range of Industrial Lockers, which are manufactured from high grade quality raw materials. 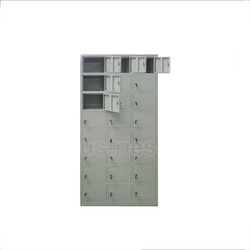 These School Lockers are widely known for its durability and quality. We offer customization as per the specifications detailed by our clients to fulfil their needs and requirements. Banking on the skills of our qualified team of professionals, we are involved in providing Student Locker.